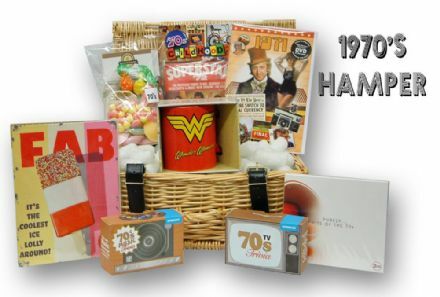 Made up exclusively by Sweet and Nostalgic, it comes packed full of 1960's Nostalgic Gifts, this unique hamper is the perfect gift for that special occasion, and perfect for a 50th Birthday Gift or 60th Birthday Present. 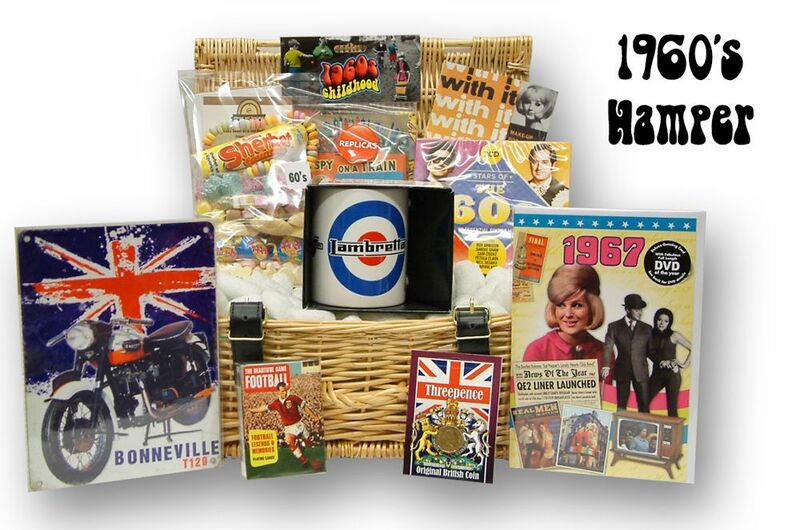 Anglo Bubbly, ABC Candy, White Mice, Sherbet Fountain and more..
- A Double CD featuring 50 tracks from the swinging 60's. 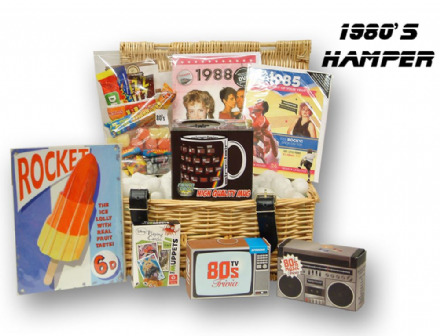 - Choose on eof our Nostalgic Metal Wall Signs (A5 size) from the drop down menu. 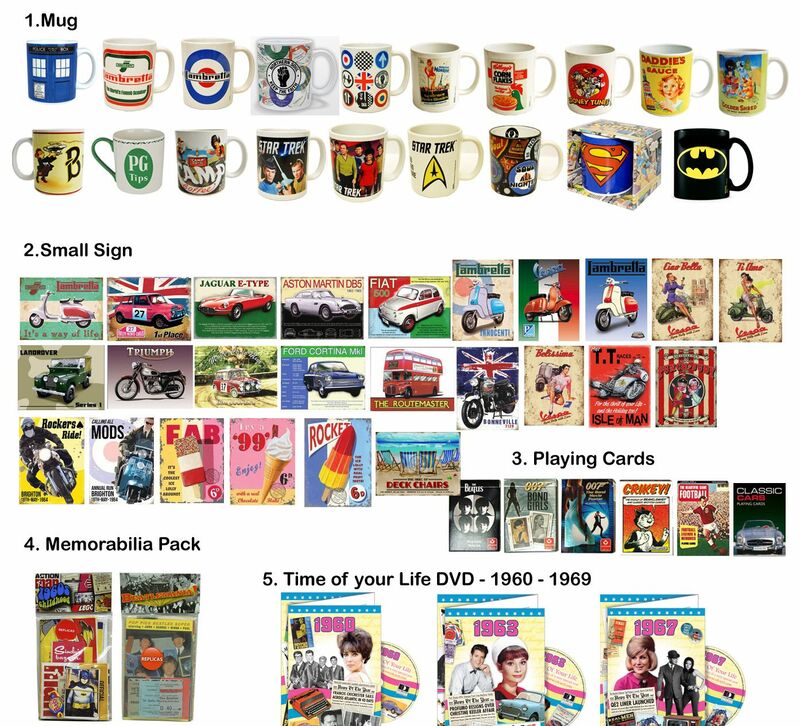 - Choose one of our nostalgic playing card sets from the drop down menu.